The Hitech 150 x 170mm Twilight #1 Hard Graduated Filter is a hard-edged graduated color filter that blends darkish blue to pink; helping to create a twilight-like appearance and a cool coloring scheme. The graduated filter design keeps a portion of the image neutral, resulting in a more realistic look while allowing for the sky or other bright areas to take on the color of the density. 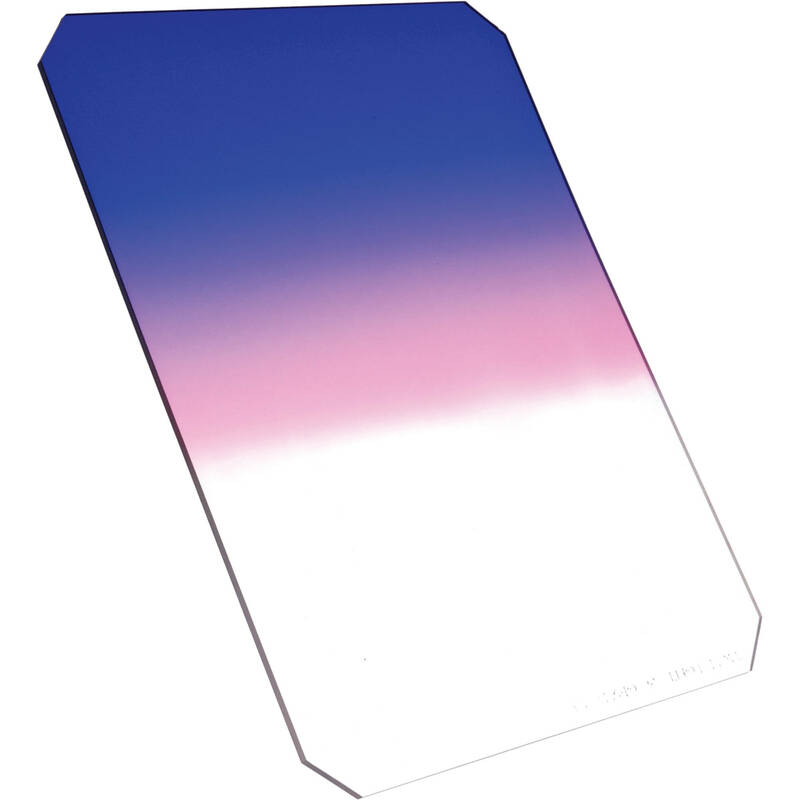 This filter measures 5.9 x 6.7" / 150 x 170mm and is constructed out of CR-39 dyed resin. The #1 filter is the least dense of the series and provides a subtle amount of twilight-like coloration. Blends darkish blue from the top to pink at the horizon line; helping to create a twilight-like appearance and a cool coloring scheme.